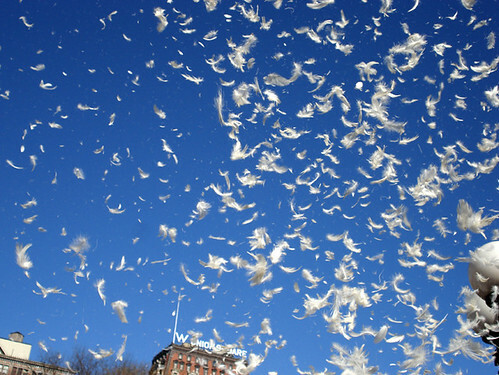 Tomorrow is the annual Pillow Fight Flash Mob! If you are in San Francisco, you absolutely must be there. 1) Tell everyone you know about pillow fight club. 2) Tell everyone you know about pillow fight club! All will face the wrath of my sack of feathery doom! I will be sure to have full coverage for you guys on friday.